A night of magical fun, beloved holiday tradition celebrated through the beauty of dance and music. The Nutcracker is reimagined in collaboration with Monica Proença, world renowned choreographer. Students from Ballet Bloch Canada, Central Dance Academy, Mi cher Dance Academy, North Shore Academy of Dance, Pacific Dance Arts and West Coast Ballet come together bringing classical ballet, contemporary, hip-hop and street jazz to the stage. Professional artists Kyle Toy, Guilherme Ventura and Lucas Wilson-Bilbro, display their talents effortlessly as Drosselmeyer, Cavalier and Arabian. Ballet Bloch's very own Logan Hall dances The Nutcracker Prince. This year's graduate students Jessica Hubbs and Emily Hogan dance the lead role, Sugarplum Fairy. They perform the full pas de deux from Petipa. 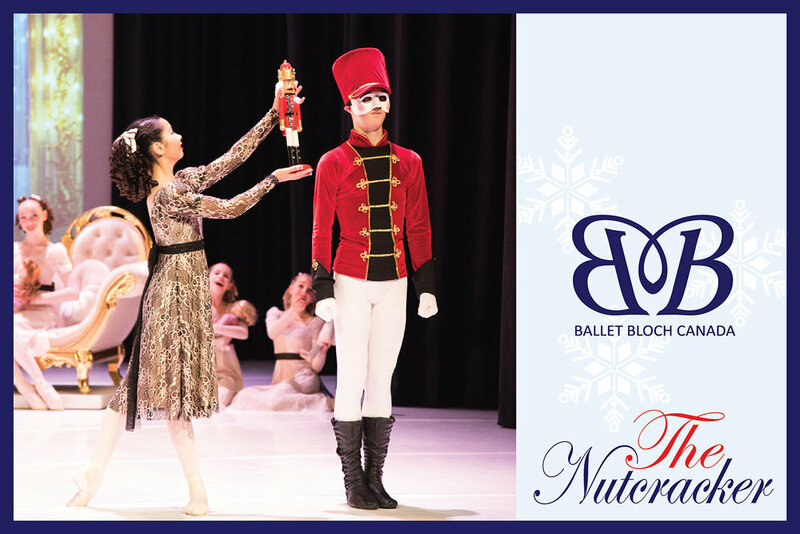 The North Shore production of The Nutcracker celebrates awareness of how dance schools work together and support each other in developing arts and culture in our world. Children from all over Vancouver will share the stage to mark this extraordinary event. An exciting Christmas story for the whole family.